"To-morrow, and to-morrow, and to-morrow" Photo by Brinkhoff Mogenburg. 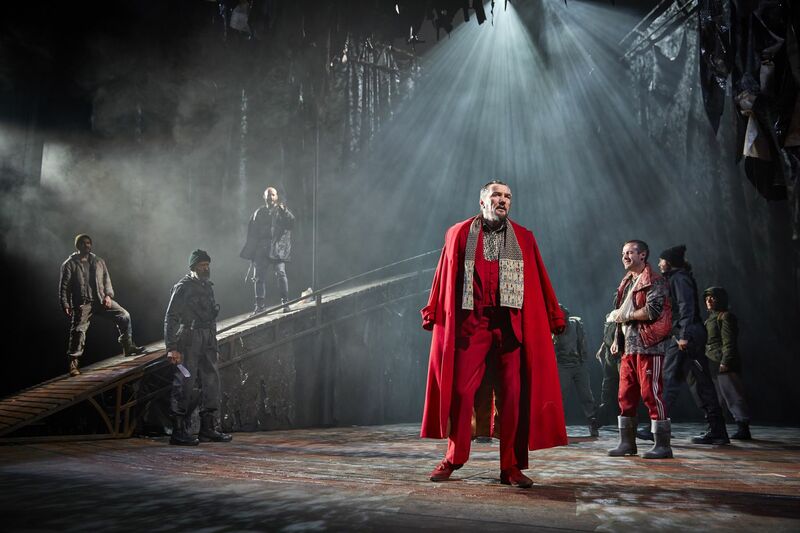 The National Theatre brings this epic and visually daring production of Shakespeare’s most intense tragedy to the Lyceum theatre from 21-24 November. Now in a post-apocalyptic world of anarchy and uncertainty, watch Macbeth use forces of elemental darkness to obtain the crown. The National Theatre (War Horse, The Curious Incident of the Dog in the Night-Time) brings this stunning production of Shakespeare’s most gory tragedy straight from its sold-out London run. Macbeth is directed by National Theatre Artistic Director Rufus Norris. Macbeth comes to the Lyceum Theatre from Wednesday 21 – Saturday 24 November. Tickets can be purchased from Sheffield Theatres’ Box Office in-person, by phone on 0114 249 6000 or online.